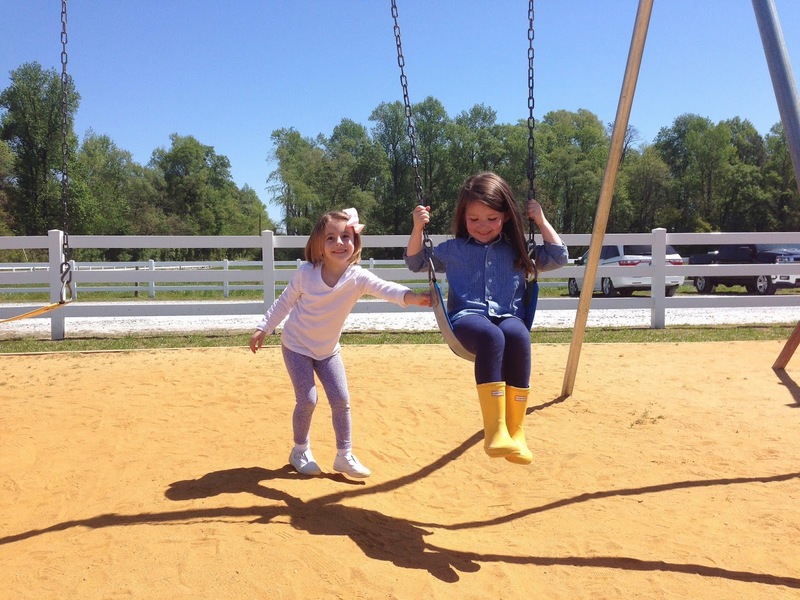 I shoved her feet into her yellow rain boots one Monday morning in April, first the left then the right, and held her hands as she hopped off the bottom step. “Why is it called a cow PIE, silly, if I can’t eat it?” she asked. I grabbed the camera and her mother grabbed the keys and we laughed as we closed the door behind us. 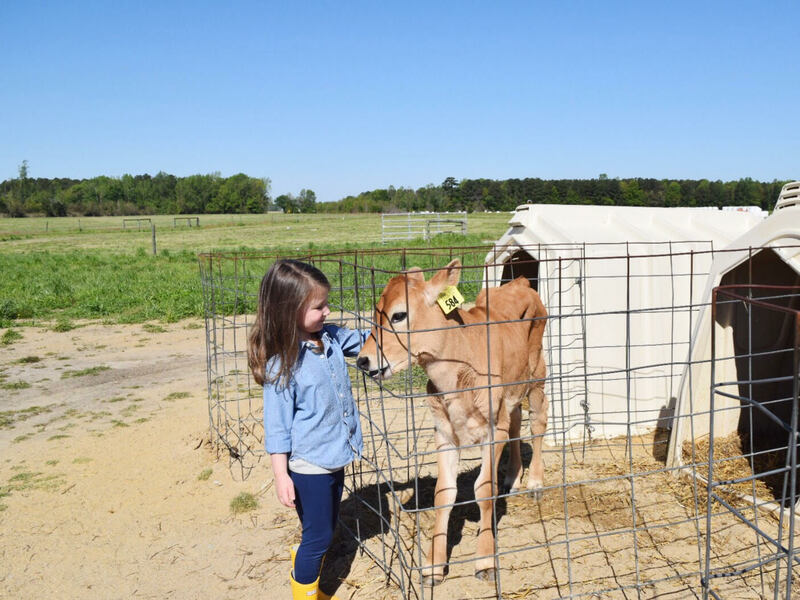 It was her first field trip and we had a date with several cows at a local dairy farm. 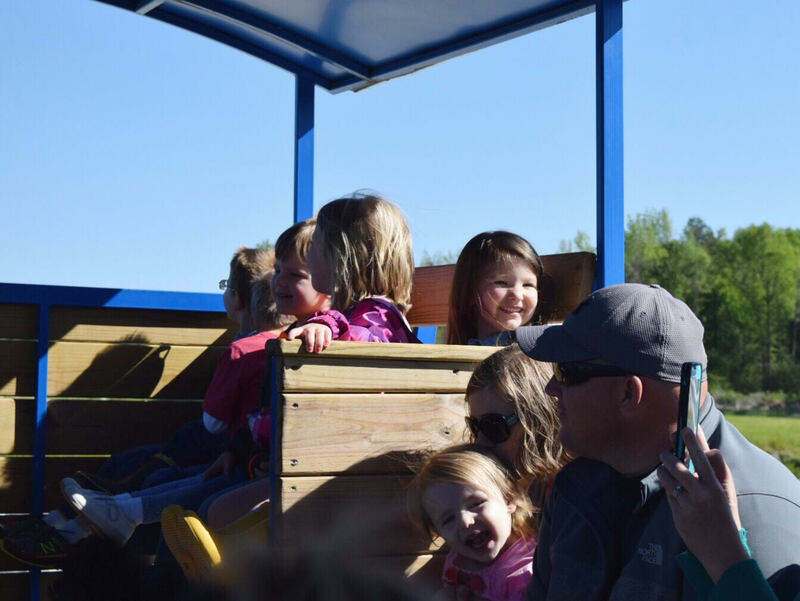 We met her teachers and her classmates and their parents at the farm before being herded into a large wagon pulled by a tractor that would give us a tour of the feeding fields. 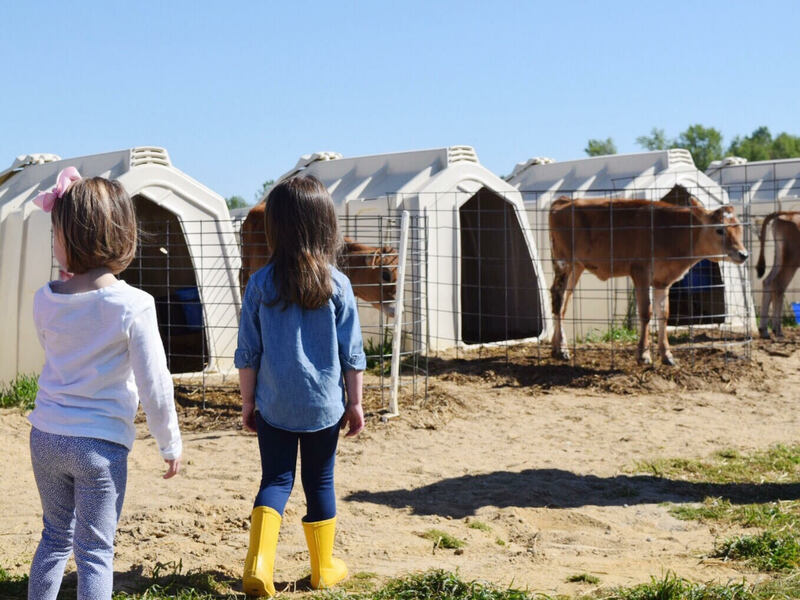 We listened as they told us about their humble beginnings and the types of cows they have and when they sprung a pop quiz on the group, Madison was the first to raise her hand. “What kind of cows do we have on our farm?” the guide asked. 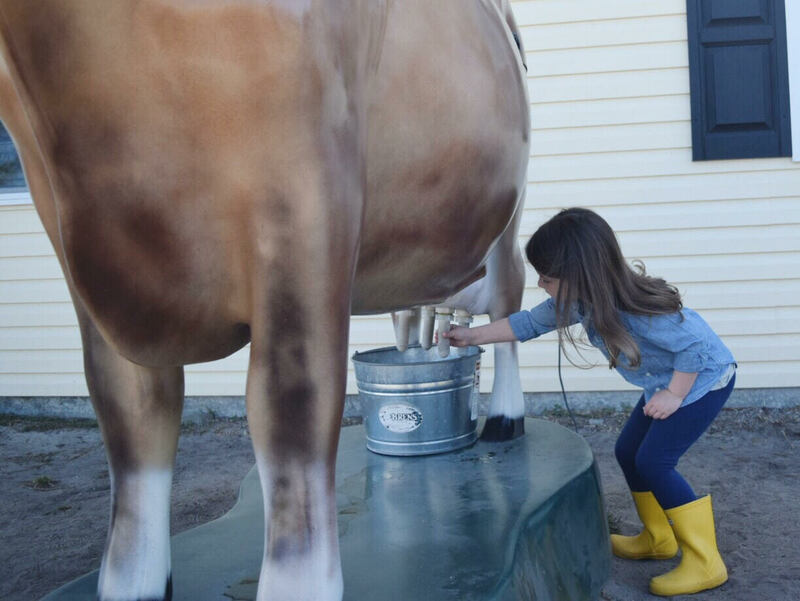 “The kind we get milk from!” she answered. Smart girl. Eventually we abandoned the wagon and tractor to finish the tour on foot. 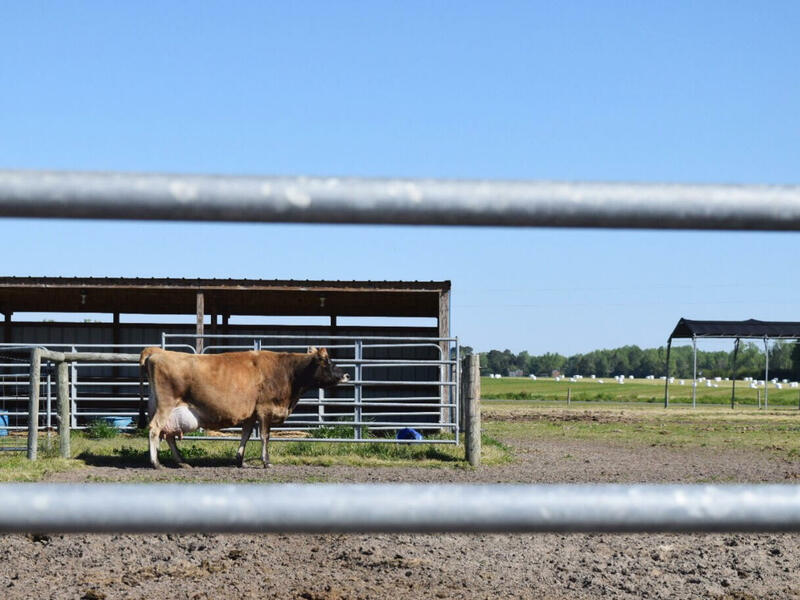 We saw the smaller pasture with the pregnant cows that were close to giving birth before moving on to another area nearby where the “teenage” cows were held for temperament observation. Finally, we arrived at the section we’d been waiting for – the calves. 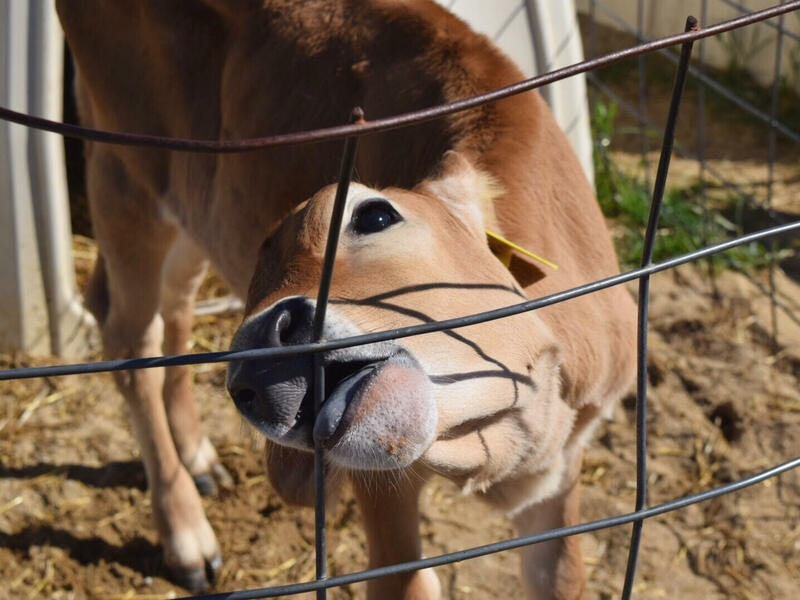 The guide explained a calf doesn’t have teeth and mentioned we could pet them. 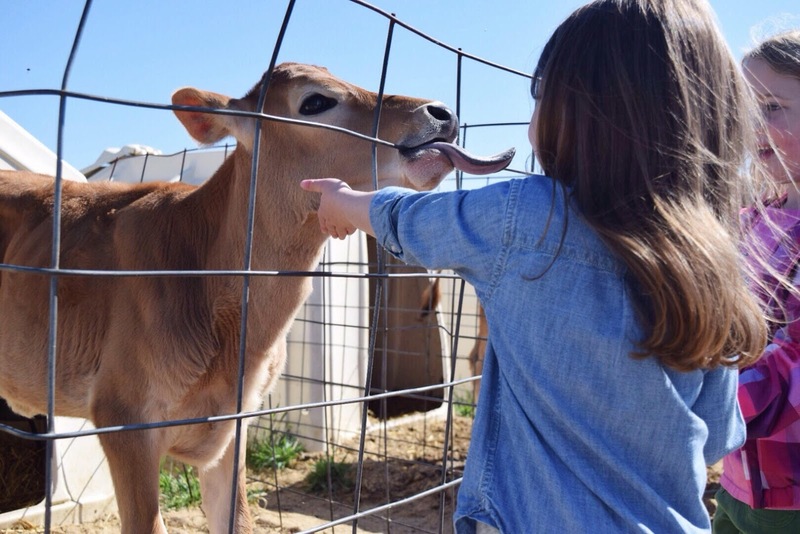 All the kids immediately stepped up (myself included) to get licked by a baby cow with their sandpaper tongues. We watched our baby girl rub her tiny fingers over the head of another baby and watched the world, as she knew it, get a little bigger. 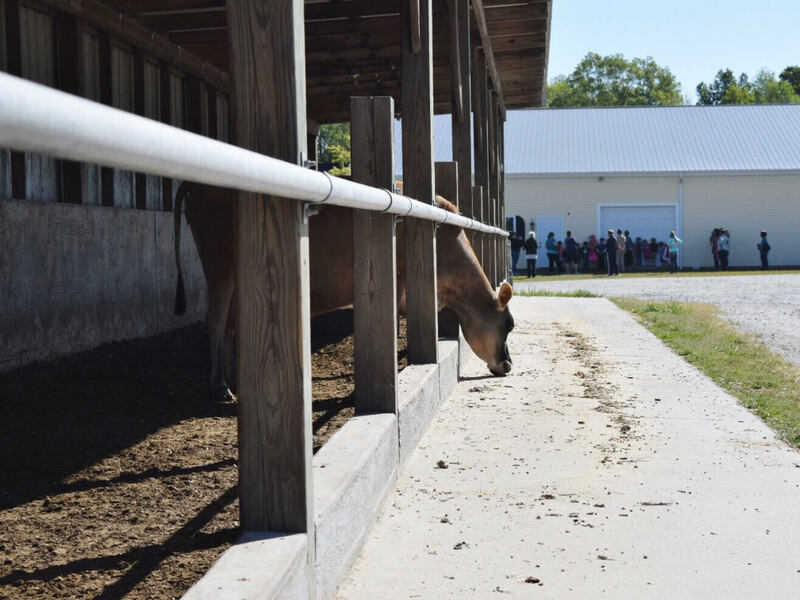 We toured the processing building to see where and how the cows were milked, a daily ritual they were all accustomed to, and we stood in the exact room where the milk in our fridge at home is collected in. We learned how the entire process worked from beginning to end, from birth to the store shelves. Afterwards, we were treated to ice cream made from the milk of the cows in the pasture next to us. 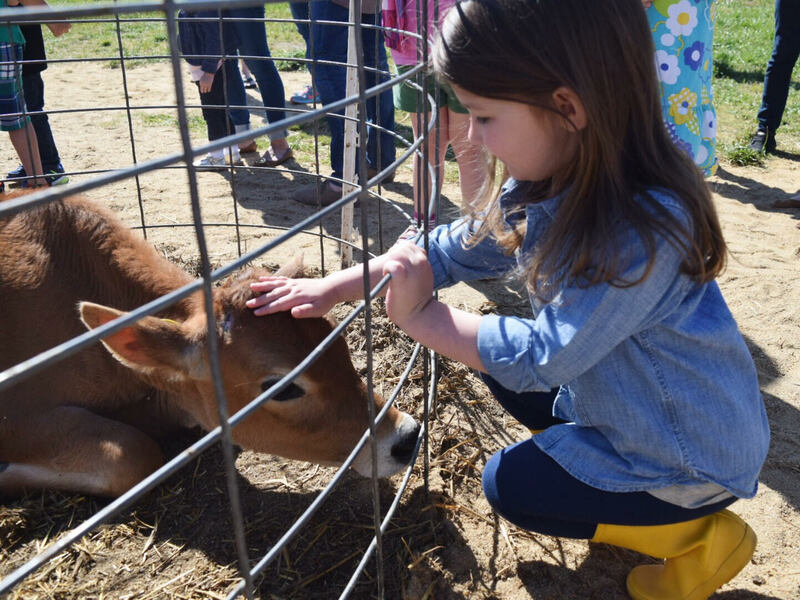 Madison laughed with her classmates and played with her best friend and they peeked through the cow cutout masks they were given as souvenirs and while this was her first official field trip, we couldn’t help but enjoy ourselves in the process, too. We thanked everyone involved and promised to encourage our friends and family to stop by and as we were walking towards our vehicle, bellies full of ice cream and a head full of new information, Madison asked again about cow pies. "Take a deep breath," I replied. "Do you smell that? Those are fresh cow pies baking right now." With a wrinkled nose and squinted eyes she said, "Then let's mooooooooooove on!" I love this kid. Another good one--love the let's moooooooove on!